How common are “snooping” privacy breaches? Canadian Underwriter	How common are “snooping” privacy breaches? How common are “snooping” privacy breaches? When it comes to privacy breaches in the healthcare sector, “snooping” is definitely a concern. 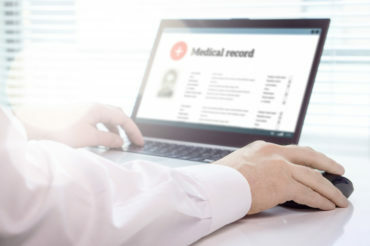 Snooping, or unauthorized access, breaches occur when an employee (such as a hospital worker) has access to identifiable information and abuses their authority to look at electronic health records of friends, family or co-workers. Beamish and Clayton spoke about breach reporting trends in the private, public and health sectors last week at NetDiligence’s Cyber Risk Summit in Toronto. In Ontario, another concern in the healthcare sector is abandoned records, where a health professional goes out of practice and “they’ve simply walked away from their health records and boxes of paper records are left in an office space,” Beamish says. In Alberta, patients being handed the wrong person’s medication is surprisingly common. “It’s a minor privacy breach in some ways,” Clayton said. “I get someone else’s medication and know what they’ve been prescribed and I know their personal health number, but I might also go home and take that medication thinking it’s mine, so there’s a safety issues as well.